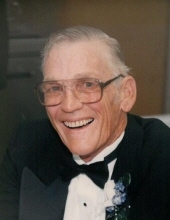 Ben John Lehman, 79, of Damon, Texas, passed from this life on Friday, October 5, 2018. He was born on September 27, 1939 in Fort Bend County, Texas to Charlie and Hermina (Trlica) Lehman. Ben was a teacher and principal for 20 years and later worked for Kinder Morgan as a gas technician for 18 years. Funeral services will be held 10:00 Wednesday, October 10, 2018 at Baker Funeral Home in West Columbia with John Price officiating. Visitation will be on Tuesday, October 9, 2018 from 6:00 pm until 8:00 pm also at the funeral home. Burial will follow at Needville Public Cemetery. Serving as pallbearers are Kenneth Hoelewyn, Thomas Hoelewyn, David Hawkins, Tim Wieghat, Bubba Schneider, and Corbin Primrose. Honorary pallbearers will be Danny Hurta and Gilbert Brown. Ben is survived by his loving wife, Barbara Ferguson Lehman of Damon; sons, Kenneth Lee Miller of Damon, Terry Miller of Damon, and Calvin Lehman of Katy; daughters, Ruth Ann Maus of Needville and Mar-Jayne Cogburn and husband, Matt of Bertram; grandchildren, Brian Miller, Jeremy Miller, Brandon Miller, Kayla Maus, Lance Corporal Logan Maus of Okinawa Japan, Mason Maus, Meghan Cogburn of San Antonio, Yeoman Michael Cogburn of Groton, CT, and Mason Cogburn of Abilene; great-grandchildren, Brianna Miller, Colt Miller, and Carsyn Miller; sister, Jo Ann Buchan and husband, Bill of Galveston; and sister-in-law, Beatrice Lehman of Needville. He is preceded in death by his parents; brother, Carl P. Lehman; and father-in-law and mother-in-law, Hugh V. and Jessie Hoelewyn Ferguson. To plant a tree in memory of Ben John Lehman, please visit our Tribute Store. "Email Address" would like to share the life celebration of Ben John Lehman. Click on the "link" to go to share a favorite memory or leave a condolence message for the family.